Long hikes or treks seem to be becoming popular at the moment and I’m all for it! Exploring outdoors, fresh air, physical activity and spending time with mates - what’s not to love. If you’re undertaking a long hike soon, here are some things to think about. I’ll be doing the Jurassic Coast Challenge with and for Trekstock soon. I haven’t done a proper organised hike before and I’m excited to get going. Although people will think I would find it easy, I do still think it will be a challenge. It’s a full day of hiking - much longer than anything I have done before - over tricky terrain with unpredictable weather. Trekstock fulfills a wonderful role assisting young people as they deal with cancer. I am very proud to be supporting them, and the good news is that you can too! If you would like to donate, hit up my Just Giving page. Anything you can contribute is greatly appreciated. They do so many fantastic health and wellness initiatives and I really believe in what they are doing. 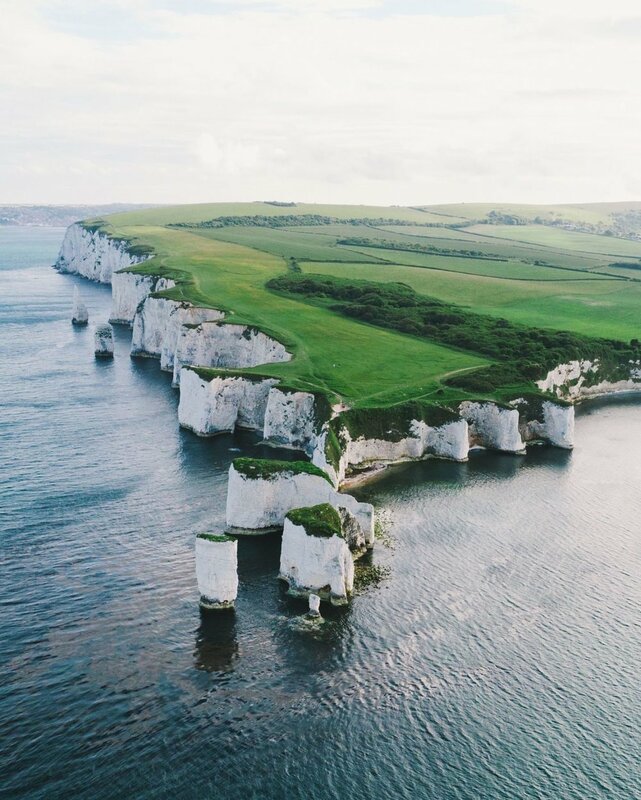 Apart from all that, the Jurassic Coast looks simply amazing, I’ve never been there before and can’t wait to soak up the scenery as I go. In the lead up, make sure you are well hydrated in the week prior and eating well balanced meals. Stay away from foods and drinks that will dehydrate you like fast food and alcohol. Get lots of sleep! Do long hikes in the lead up, even if you can’t replicate the terrain in your training hikes. Depending on how long your hike is going to be, train up to 2/3rds of the distance, if you can. Make sure you do proper mobility exercises before you set out, especially your ankles. Shoes! This is so crucial. Make sure they have good support and grip, preferably waterproof in case the weather changes. You may also need extra ankle support, depending on the type of hike. Absolutely break them in! Wear them as much as possible in the lead up. You want to look out for blisters, any spots and that rub. Wear the socks that you intend to wear on the hike while you are breaking in your shoes. Clothing - Prepare for all weather. Definitely bring something lightweight to keep the rain and wind off. The last thing you want to be is wet and cold. Anti friction sticks for any points that rub during your walk - you’ll thank me later. Warm up - do this before you set out and, as in your training, pay close attention to your ankles. Hydration is key. I’ll be taking electrolytes on my hike so that the water is easily absorbable. Make sure you have enough water for the whole hike and that it is easily accessible so you can take short sips frequently throughout the hike. Snacks - Make sure you have snacks and food along the way to keep your energy up. Post hike, have a big feed and congratulate yourself! Have an epsom salts bath later on and/or the next morning. If you’re struggling with soreness, do some hot and cold therapy in your shower (or with ice baths!). Then have a good sleep!